Pumpkin spice, crisp winds, the smell of hot coffee, and peppermint, roast turkeys, and homemade cranberry sauce are all foods that remind us of Autumn. The moment these luscious scents hit our noses, we know Fall has come. Yet in Korea, a handful of different scents of foods waft in the air when the leaves turn color. As Autumn is nearing its end and Winter is approaching, here are 6 Korean foods that everyone has to try before Fall ends. 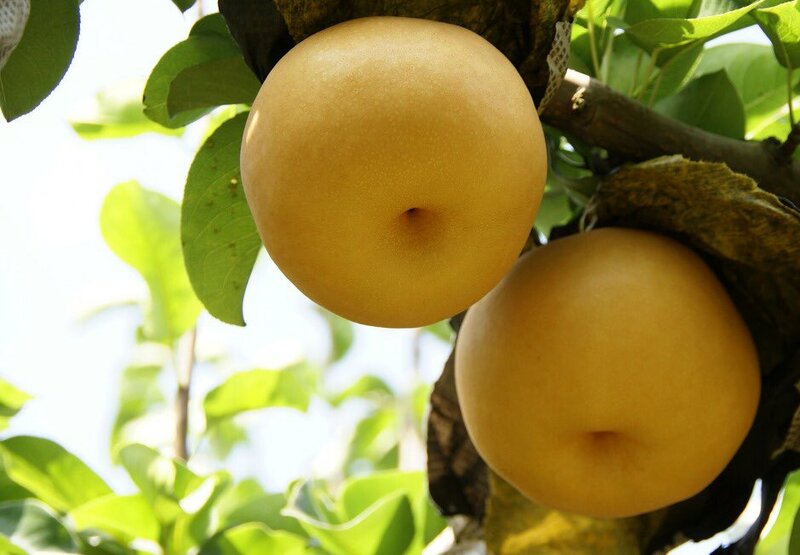 Korean pears differ completely from the ones we, in the western world associate with the word pear. Instead of the Western pear shape of long slender necks and rounder body that are soft and sweet to taste, Korean pears are round, and hard and crisp in texture. The Korean pear is sweet and crunchy but its aftertaste is slightly sour. In the Fall, Korean pears are at its peak, perfectly sweet and beautiful as a healthy dessert. Although roasted sweet potatoes are more of a Winter food, as the air gets chillier, this is still the perfect snack to warm up. Korean sweet potatoes are much sweeter than the ones in North America and when roasted to a golden perfection whether on a fire or specialized sweet potato roasters that are used to sell these snacks on the street, this Korean snack is a cheap eat must! In a similar vein to sweet potatoes, roasted chestnuts are sold as street food in the Fall/Winter season in Korea. Although December really is the best time for them, it's never too early to munch and savor these beautiful little gems. Like the sweet potato, Korea has special chestnut roasters that pepper the streets of Korea, offering these gifts to the chilly onlooker. Gan jang gye jang is raw crab that is marinated in soy sauce and a Korean delicacy. Although it may not be for everyone, this dish is hard to explain if you have never tried it but once you are hooked, you will always come back for more. Some people have compared it to uni, where this cuisine keeps all the amazing flavors of the ocean. Gan jang gye jang made with Blue Crabs are in season in Autumn, so the best time to experience the freshness and charm of this food is this time period. 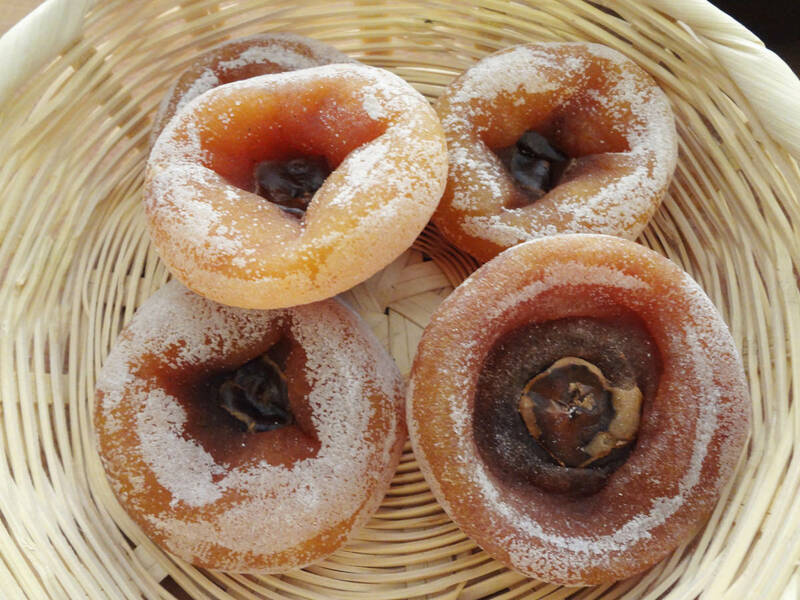 Dried persimmons are enjoyed all over Eastern Asia, taking persimmons that are not quite ripe and drying them, making them sweet, chewy and kind of like candy. 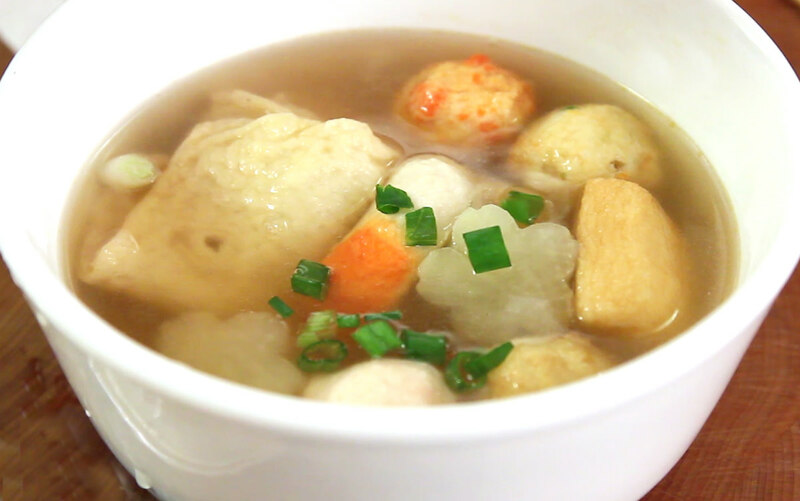 Last but not least is fish cake soup! Once the weather gets colder in Korea, Koreans clamor to the street food carts trying to warm their chilled bodies. And what better way than to heat up than with fishcake soup? 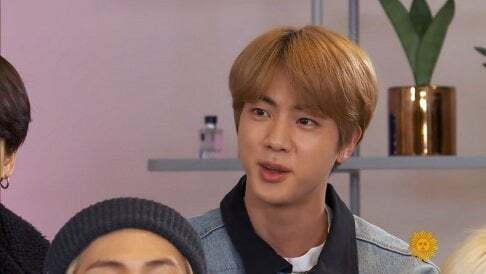 The steam from the soup that are on the food carts, call to people passing by and when people take a sip of the broth, one can feel the hot soup shimmy down their throats, toasting up their bodies, prepping them to face the coldness of Fall. 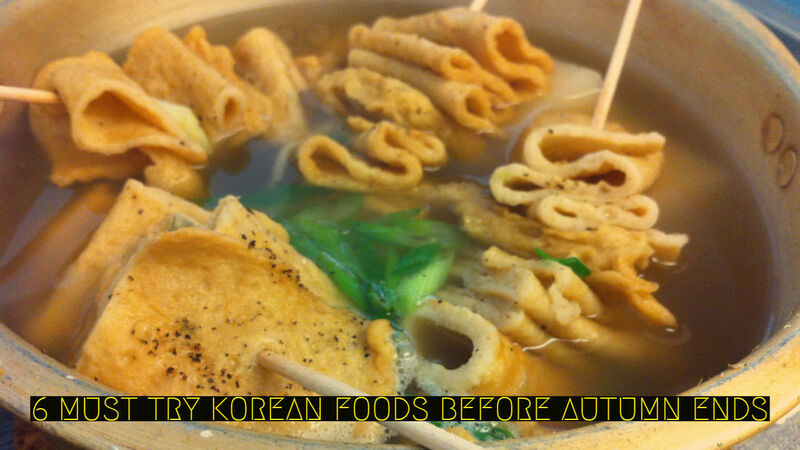 Which Korean Fall food are you going to try before Winter comes?